يقع Wanderers Retreat على بعد 5 دقائق سيراً على الأقدام من شاطئ وان مايل، ويتميز بخدمة الواي فاي المجانية ومسبح في الهواء الطلق ومواقف مجانية للسيارات في الموقع. تتميز جميع أماكن الإقامة بشرفة. وتتميز بعض المنازل الريفية بحوض سبا. ويتوفر أيضاً منزل شجرة فريد للإقامة. يقع One Mile Beach Wanderers Retreat على بعد 10 دقائق بالسيارة من خليج نيلسون. كما يقع على بعد 20 دقيقة بالسيارة من خليج فينغال. ويبعد مطار نيوكاسل / بورت ستيفنز مسافة 25 دقيقة بالسيارة. تتميز جميع أماكن الإقامة بجهاز تلفزيون كبير بشاشة مسطحة ومشغل دي في دي وثلاجة ومرافق لإعداد الشاي / القهوة. وتقدم جميع أماكن الإقامة مطبخاً أو مطبخاً صغيراً مجهزاً بالكامل. يتوفر حمام مع دش ومجفف للشعر ولوازم الاستحمام كمرافق أساسية في جميع أماكن الإقامة. تشمل المرافق منطقة للشواء محاطة بالحدائق الجميلة ومكتب للجولات السياحية ومرافق غسيل الملابس. كما تتوفر خدمات المساج بناء على طلب مسبق. Beautiful rainforest setting. We stayed for 3 nights in a hot tub cabin. It was so relaxing sitting on the verandah. The grounds are well maintained with a lovely swimming pool. Our cabin was very well appointed and clean. We loved it and will be back! 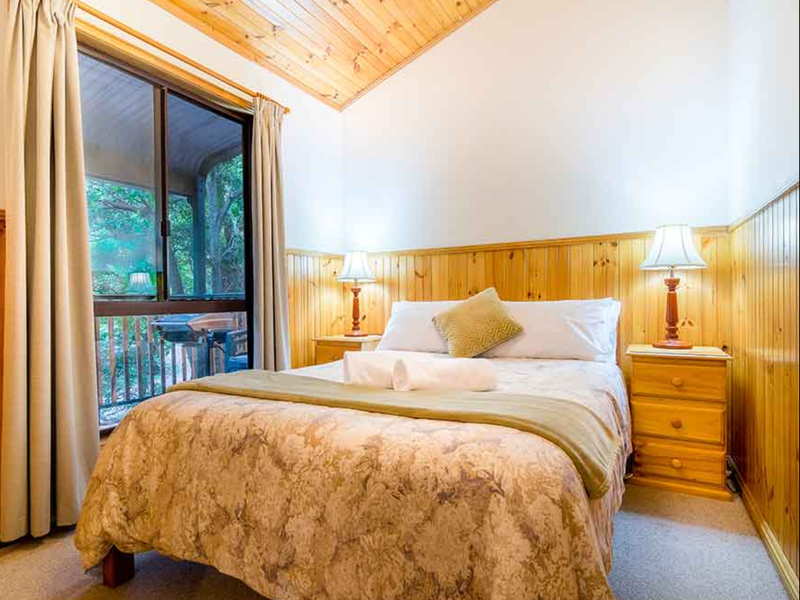 Wanderers Retreat is a relaxing getaway. The accommodation is clean and has everything one would need. The grounds and swimming pool are lovely and well kept. The setting is relaxing and the cabins are well placed. The hosts were hospitable and helpful. 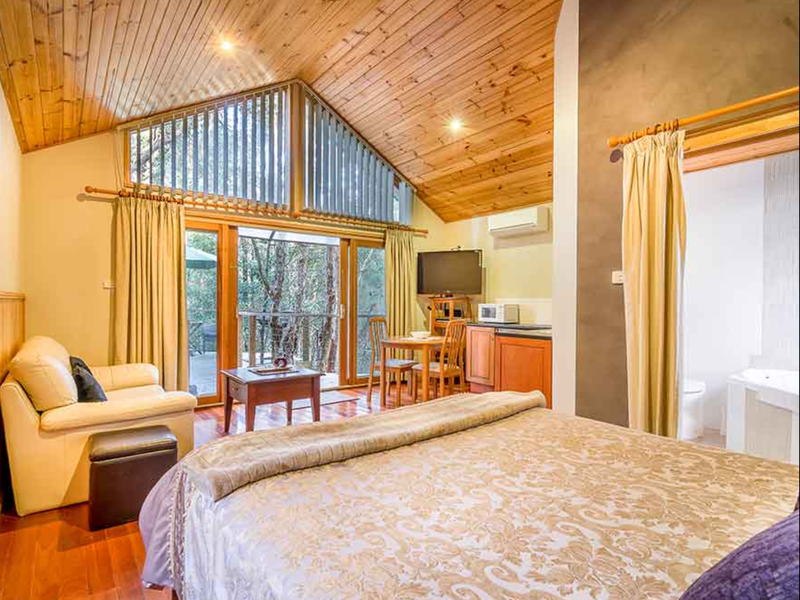 We would not hesitate in recommending Wanderers Retreat to those wanting the perfect getaway and we hope we can make a return visit very soon. 2 bedroom cabin. Rustic setting. Owners very helpful in giving us good recommendations for places to see and eat. Small improvements to get great reviews but absolutely amazing setting. Thomas. Thank you for staying with us at Wanderers Retreat. Glad you enjoyed your stay. Thanks for the tip on the shower rose. I replaced it immediately you brought it to our attention. We do actively aim ensure all of our cottages are thoroughly cleaned including mopping of floors, particularly in the recent windy and dry weather we have been experiencing. Our apologies for this inconvenience. We look forward to you staying with us again. We absolutely loved our 5 days here! Peace and quiet in a forest, what more could you want! We stayed in one of the gorgeous tree houses and loved it! We had some cute possums visit our deck nightly - so friendly. The owners were so lovely and helpful. We were given a map of the grounds and area and pamphlets on things to do and what was close by. The complimentary wine and chocolates went down a treat as well. They went above and beyond. We cannot wait to go back. Highly recommend this place for anyone looking to really get away from busy life and enjoy some tranquility. Hi Caitlin - We are so happy you enjoyed your special stay at Wanderers. We agree, it is a wonderful place in the rainforest, but still so close to the beach and facilities. We look forward to your next visit. I arrived to a very open, fan on, unit which I closed up in the late afternoon to visit a friend who lives locally. When I returned the smell was horrible. Musty and mouldy - so much that during the night I decided to open all windows and turn on the fan again. If composting toilets are a problem to you don't go here but I don;t think it was the source of the smell. The sound from rampaging children in the unit next door kept me out of bed and the parents were loud until midnight. After lack of sleep the 5.00 am calls from the rooster across the road was not welcomed and it did not stop crowing. I had to continue to leave all windows open the next day so felt my possessions were not secure (and nor was I at night). 2nd night tenants in another unit partied and swore until 1.30 am when one person needed to vomit in the garden. I wouldn't vomit in a composting toilet either!!!! Vomiting woke up the roster who then crowed on and off. There was a wooden spoon in the utility drawer that was covered in mould. I wash up everything before I use it and the frying pan and pot were not clean by any measure. No way could I use the wooden spoon. There was no phone reception and no cable TV so when I was not visiting my sick friend I was left only with my book to pass the time. Could not even text or call anyone without leaving the unit. I have stayed in several locations at Boat Harbour, One Mile and Anna Bay and this was by far the worst. Unfortunately for Wanderers retreat I have spread the word amongst the locals who will now know to advise visitors not to book this accommodation. The setting is fabulous...you wouldn't know anyone else was around. Ian and Jane were fantastic hosts, facilities in and around the house are amazing and the awesome hot tub... need longer next time. Peter. Thank you for your very kind response. WE are so pleased you enjoyed our facilities and your stay with us. We stayed in the 2 bedroom cottages and had a lovely time. The cabin had all that we needed for a weekend away, which was good since it was our first trip with a baby. Ian was wonderful, helping us change our reservation to a night earlier at the last minute when we realised that we had booked the wrong dates on our drive up. Lovely location out in the woods. Min. We love having international guests and showing them an Australian experience. 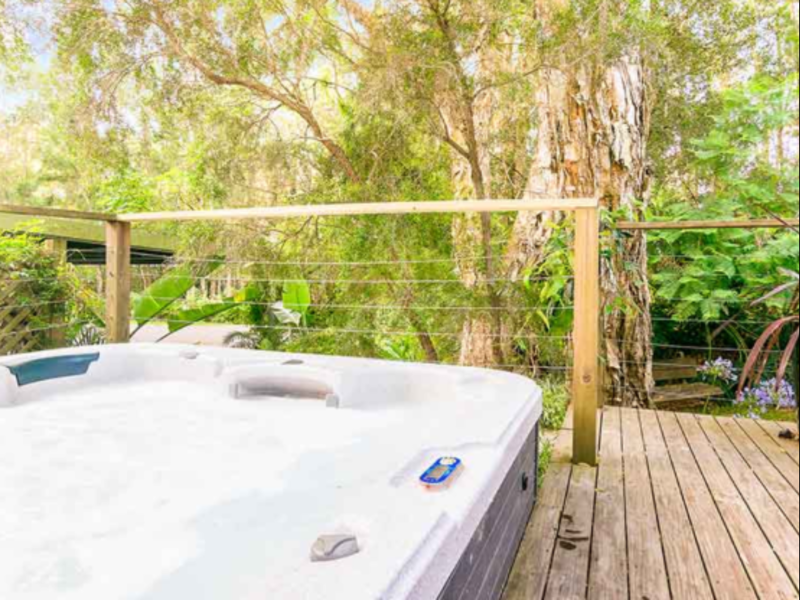 It gives us pleasure in seeing the delight on our guests face when they get to see a koala or possum up close or pat our resident kookaburra. Thank you again for staying with us. this hotel does what it says: it's an eco retreat. 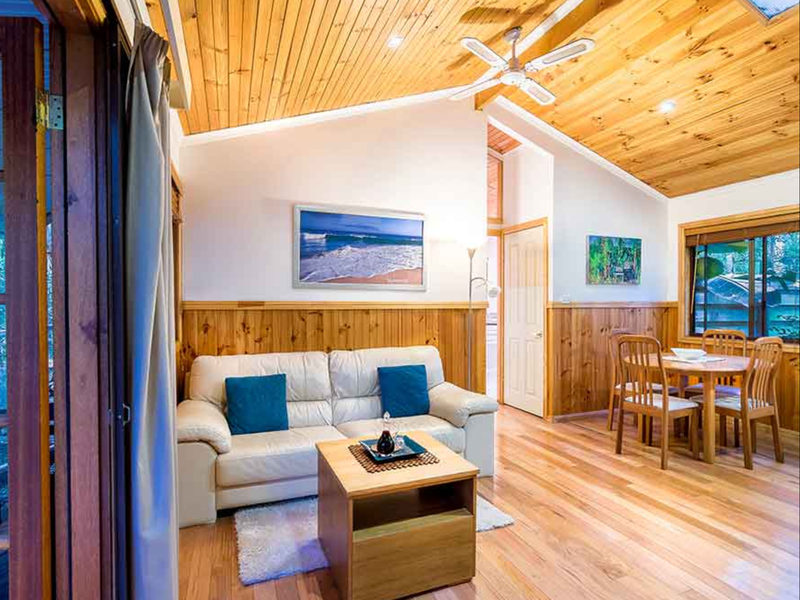 The Cabins are located in forest/bushland and the owners are very friendly and on hand to answer any questions. Koala's live in the area and as you walk from your cabin you stand a good chance of seeing one. We caught a few as we walked to the beach. I would point out that the cabins are not very well appointed. This could be a concern in the winter, or if you are a business traveler. 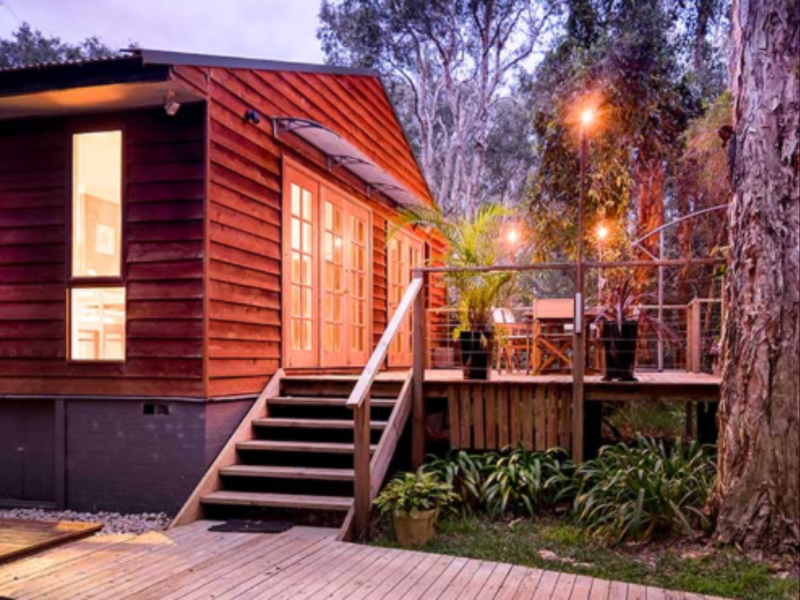 However, if you are from the big smoke and are looking for a nature retreat - the Wanderers Retreat will hit the spot! A great place to stay for all travelers. Great location for a trip with the girlfriend or a family holiday. Friendly staff always willing to help and give advice on the area. I am looking forward to my next stay. As soon as we arrived, service was really friendly. 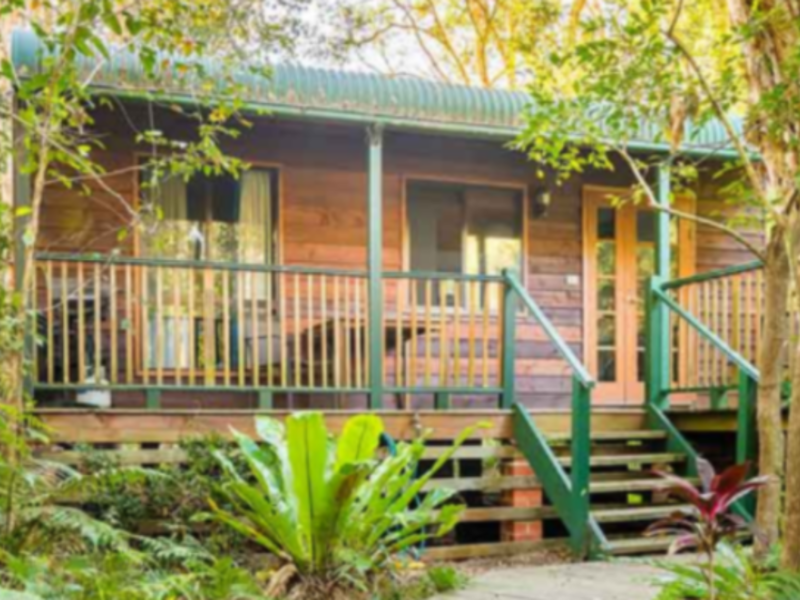 Our treehouse was surrounded by the beautiful natural surroundings and possums and koalas living there. The room had everything necessary, for a weekend away.